An intelligent fuzzy system integrates fuzzy systems with intelligent methods. Recently, intelligent fuzzy systems have been widely applied for control and data analysis problems. Different approaches in intelligent fuzzy systems have been developed for improving the behavior of conventional fuzzy systems. With the advantages of intelligent strategies, successes in the real-world applications have been established. The objective of this special issue is to explore novel models, analyses, and applications of intelligent fuzzy systems at the 2017 International Conference on Fuzzy Theory and Its Applications (iFUZZY 2017) held in Kenting, Pingtung, Taiwan, over November 12–15, 2017. Papers submitted to the IJFS special issue were initially reviewed by the guest editor and accepted as the oral presentation. In accordance with the strict paper review procedure of IJFS, we invited seven IJFS associate editors, Prof. Shun-Feng Su (the current Editor-in-Chief of IJFS), Prof. Chin-Wang Tao, Prof. Ching-Chih Tsai, Prof. Jin-Tsong Jeng, Prof. Wei-Yen Wang, Prof. Chen-Chia Chuang, and Prof. Kao-Shing Huang as the reviewers of all the oral presentations in iFUZZY 2017. Totally nine papers were selected according to the review criterion on completeness and technical contributions and asked for quality improvements according to the reviewers’ comments. Throughout the elaborative revisions by the authors, these nine papers have finally been accepted for publication in the IJFS special issue on fuzzy theory and its applications. As for the presented contents of these nine papers in the special issue, we make brief introductions to their contributions on Advances in Intelligent Fuzzy Systems that have one paper in this volume; this article provides interesting and timely innovative results covering: Design of Optimal Disturbance Attenuation Controller for Networked T-S Fuzzy Vehicle Active Suspension with Control Delay. Four papers in volume 21(1) provide interesting and timely innovative results covering: A New Interval Type-2 Fuzzy VIKOR Method for Multi Attribute Decision Making, Comparing Two Novel Hybrid MRDM Approaches to Consumer Credit Scoring under Uncertainty and Fuzzy Judgments, Design and Implementation of a Mobile Robot with Autonomous Door Opening Ability, and Nonlinear Behavior in Fractional-order Romeo and Juliet’s Love Model Influenced by External Force with Fuzzy Function. Three papers in volume 28(8) provide interesting and timely innovative results covering: Backstepping-Based Finite-Time Adaptive Fuzzy Control of Unknown Nonlinear Systems, EMD-based Preprocessing with Fuzzy Inference System and Fuzzy Neural Network to Identify Kiln Coating Collapse for Predicting Refractory Failure in Cement Process, and Fuzzy Uncertainty Observer-Based Path Following Control of Underactuated Marine Vehicles with Unmodelled Dynamics and Disturbances. One paper in volume 20(6) provides interesting and timely innovative results covering: Developing Transformed Fuzzy Neural Networks to Enhance Medical Data Classification Accuracy. These nine papers bring a rich collection of Advances in Intelligent Fuzzy Systems to illustrate the main technical achievements of the 2017 IJFS special issue in iFUZZY 2017. Finally, I would like to acknowledge all the contributors to this special issue and encourage your kind paper submissions to the 2017 IJFS special issue in iFUZZY 2017. 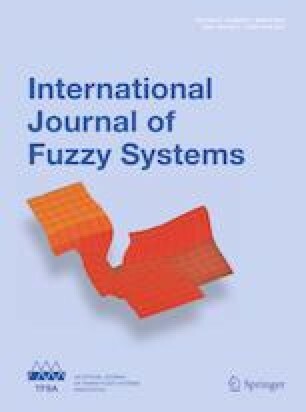 Guest Editor, iFUZZY 2017 IJFS Special Issue on Advances in Intelligent Fuzzy Systems.